The iPhone devices have been the center of attention for quite some time now, and each year the rumors get wilder and each year even more information that is leaked is actually correct. With the iPhone 5s featuring a few new additions it appears as though there could be even more awesome stuff coming with the iPhone 6. At this point many of the iPhone 6 features are rumors and speculation, but these rumors cause excitement so let’s check out some of these rumors that have come to surface. 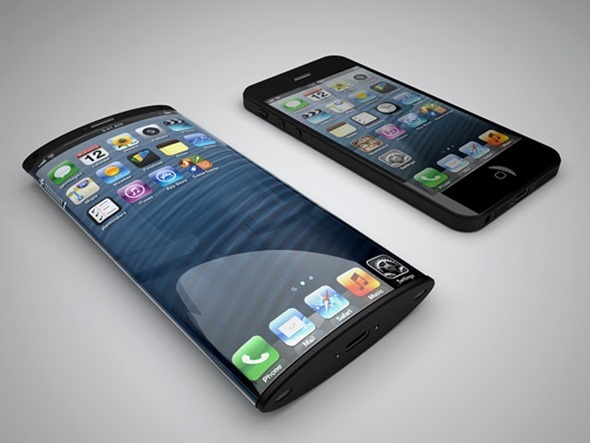 First off, the iPhone 6 is said to feature a larger display. The original iPhone through the iPhone 4s all featured a 3.5 inch display, and then Apple increased the size. On the iPhone 5 and iPhone 5s Apple used a 4 inch display, but that is said to be changing in favor of a larger display yet again. Some rumors have pointed to Apple increasing to a 4.9 inch display, just shy of an inch bigger than what is currently available. Some rumors have pointed that the screen size could increase anywhere up to 6 inches, but many of them appear to point to the 4.9 inch size. Hopefully this time Apple increases the width a bit, as adding another inch to the top of the display without any additional width would make for a rather uncomfortable and awkward device to hold. Apple has recently been awarded a patent for a Lytro-style refocus able camera, and that technology could possibly make it into the iPhone 6. The refocus technology would allow users to later focus on a different portion of the picture than that of what was originally in focus. Apple would include the ability to refocus as well as a fixed picture. This would allow users to get the high quality photos they would expect from the camera, as well as a lower quality option that would bring the ability to focus again later. It is also likely that Apple will include its new double flash, and improve even further upon its low light capabilities. The overall design of the iPhone has changed very little over the years, the iPhone evolved into the iPhone 3G and 3Gs which were very similar. With the iPhone 4 Apple brought a new design which stayed the same for the 4s. when the iPhone 5 came out it was just a larger version of the iPhone 4 and kept the design very much the same. Apple changed the look of the back from the iPhone 4s to the iPhone 5 with getting rid of the glass back. Rumors have pointed that the iPhone 6 could feature a wrap around style display, or have touch buttons on the side in place of the physical buttons that we have seen so far. Apple usually switches design after the “s” release, so with the iPhone 6 we can definitely expect to see a new styling to the device. Apple has put a lot of time and money into the use of Sapphire in their displays. The iPhone 5s features a little bit of Sapphire over the camera and now they hope to use that to make displays that will be extremely strong. The sapphire displays would likely be stronger than concrete, and that would be great for those who tend to drop their device often. Apple is generally pretty predictable when it comes to release time frames, especially when it comes to iPhone devices. Generally Apple announces their latest OS, this year likely to be iOS 8, at their developers conference in June, and then come September they take the wraps off the device. Announcements and release are generally pretty quick when it comes to iPhones and in the years past it has come within the first two weeks of September. Odds are that we will see the iPhone 6 come to consumers around the same time this year as we have in the past. Sure, all of this is rumor and speculation but with the frequency and sources of these leaks odds are that a good portion of them are likely true. Now we just have to sit back and wait, and see what comes to surface from the iPhone 6.